Oil Gas Industrial Responsive Website Templates It Free! 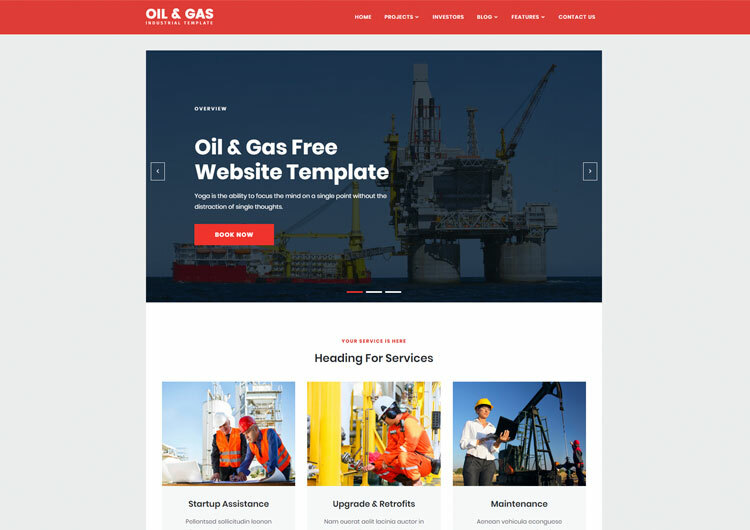 Everything you need to start your oil & gas industrial responsive website templates, It’s mobile friendly design & responsive, design your industrial website design quick and easy. Free industrial website templates is perfect suitable to industrial group or company, manufacturing, steel, coal, factory, textile, chemical industry, engineering, gas, and oil. Our industrial web template is mobile friendly and responsive template that mean support any mobile & handheld device like iPhone, iPad and android. Industrial template is well designed & professionally come with features and pages like investor report page, project showcase, service page, contact us, about us and location, blog, sticky header, zoom gallery, 404 error page. If you are looking for a template for industrial website design, than our custom designed template suitable to your client and customer.